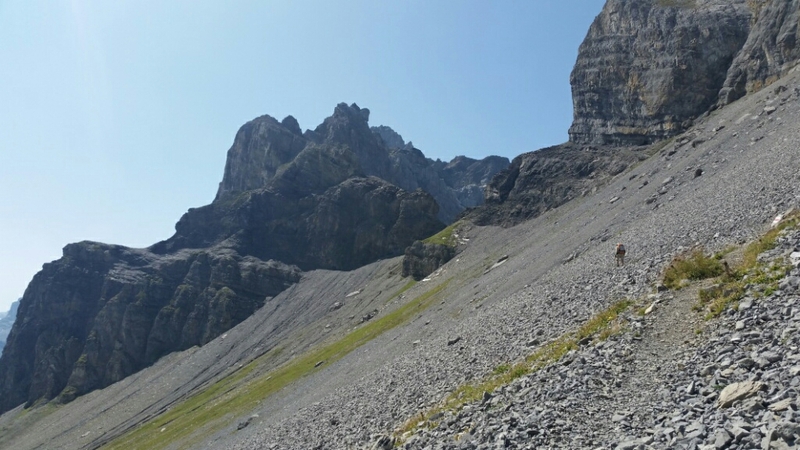 Skipped: Gondola from Kandersteg which cut 500 meters of ascent and maybe 3 km. Breakfast was one of the best ones we have had. I really liked our stay at the Alpenblick Hotel. We didn’t leave until 11. We both had things we needed to catch up on. I phoned my mother and got 3 more days up on the blog. We took the gondola up out of town which allowed us to skip the hot walking in trees. We got out above treeline and had a great walk up to the pass, Bunderchrinde, 2385m. 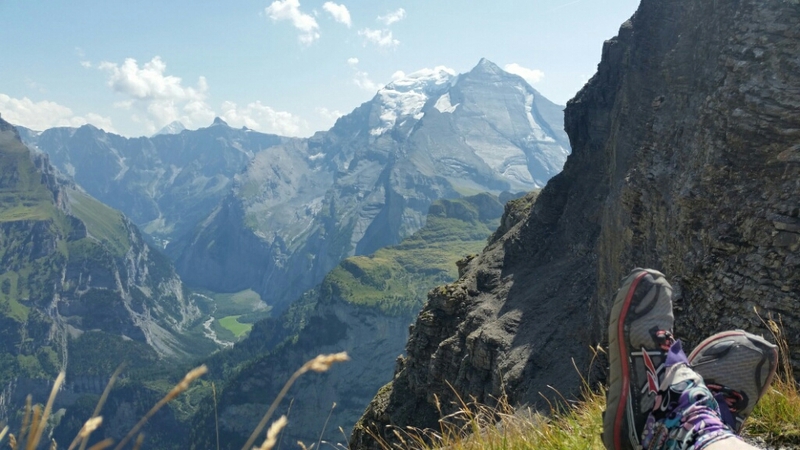 We had great views back to the Eiger, Mönch and Jungfrau. 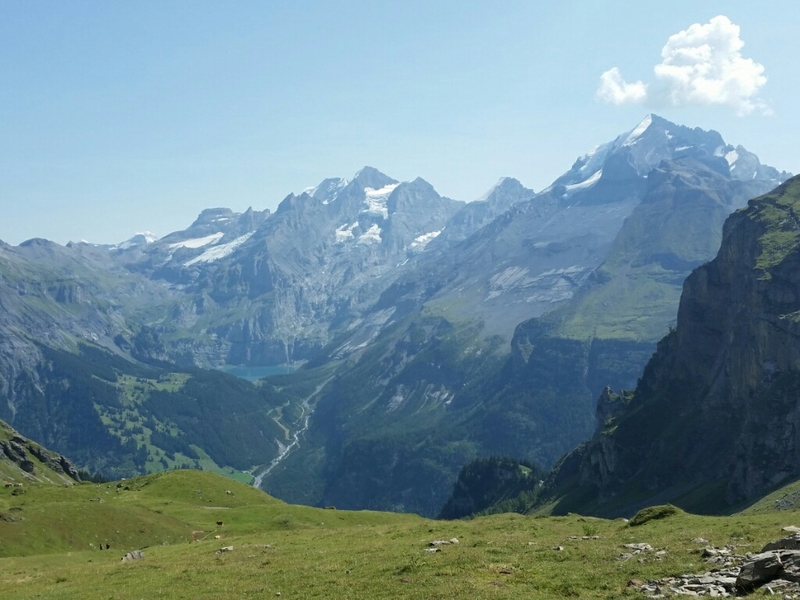 We could also see yesterday’s pass, the Hohtürli and the Oeschinensee. 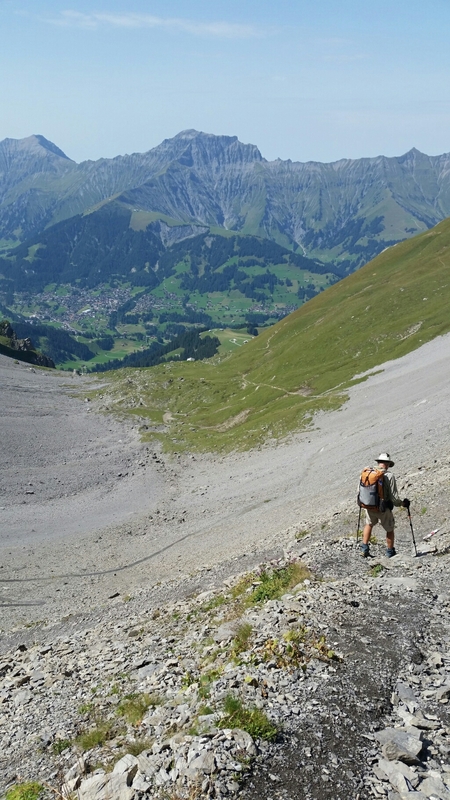 As we were walking down to Adelboden we passed a family who had been collecting mushrooms. They had found some steinpiltz (boletes). They offered us a ride into town. I said no at first, then reconsidered. They work with the Salvation Army and had one of their VW vans. We had fun talking to their kids on the drive down. 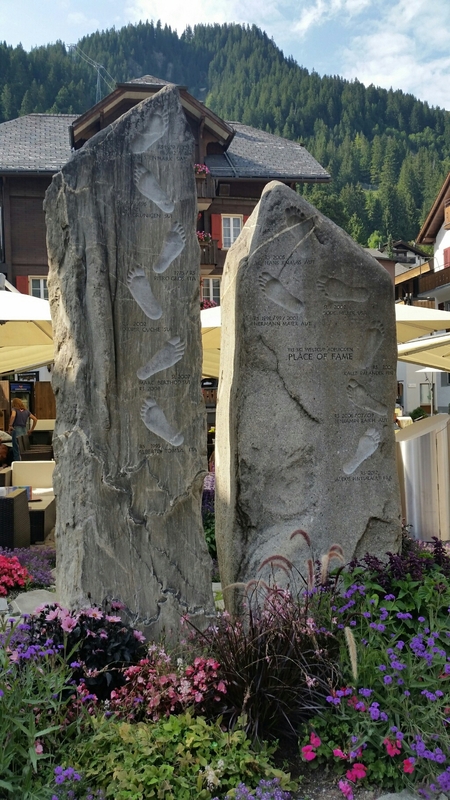 Adelboden had lots of touristy stores. We walked around a bit, bought stuff for dinner and breakfast and walked out of town. I’m just loving how little food we need to carry. After leaving town Jim spotted a fox. Very cool. But the rest of the walk was pretty boring. We knew that when we left town because a french couple we met at the Bunderchrinde Pass described an alternate and even gave us maps. But we decided not to go that way because it would have been longer. We had to walk farther than we wanted to finally find a place to stealth camp. It’s in a ski area right above a restaurant/hotel full of people and next to an old empty farm building. It’s perfect and has a view. This entry was posted in SWISS ALPINE PASS ROUTE / VIA ALPINA 1 SWITZERLAND 2017 on August 27, 2017 by nancyhikes. That is so interesting you found lifts… our guidebook said there were no shortcuts on Bunderchrinde because some connecting trail between where the lifts were and the official route was dangerously eroded. Very curious. 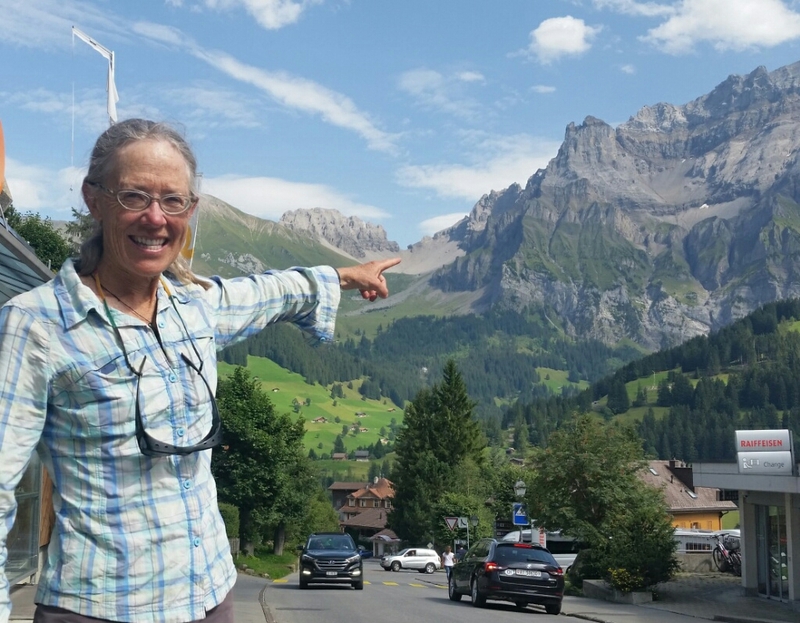 Glad to see you accepted the ride… the hike all the way to Adelboden was sort of defeating because you drop down to the river and then climb up the hilly town. 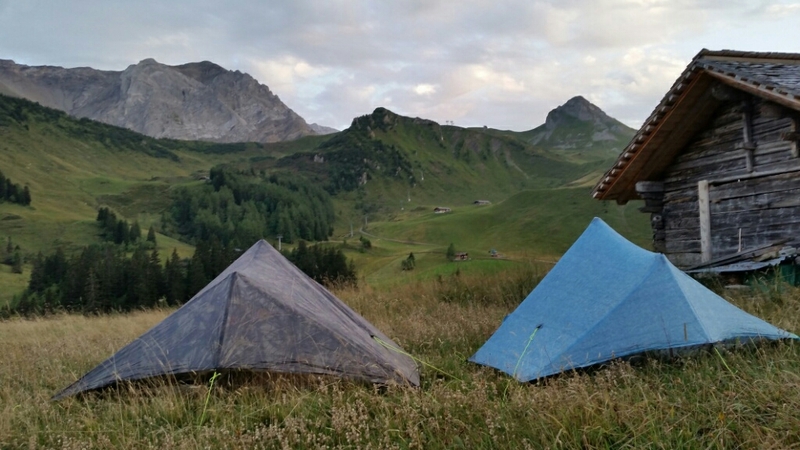 We did it – but we had taken a whole rest day in Kandersteg between Hohturli and Buncherchrinde. Bunderchrinde was my least favorite pass on the far side – unbelievably slippy terrain coming over on the Adelboden side. I guess we were lucky. The hikes up in the trees were just too hot and humid. Not enough reward for the effort. My enjoyment of this route increased as soon as I decided I didn’t have to walk every step of it as I have on every other hike.